Save the file to a convenient location on the machine that has clearString neatComponents installed. Open the Server Manager on your neatComponents installation. Right-click, and select Import from the context-menu. Browse to the location you saved the ncx file, and import. 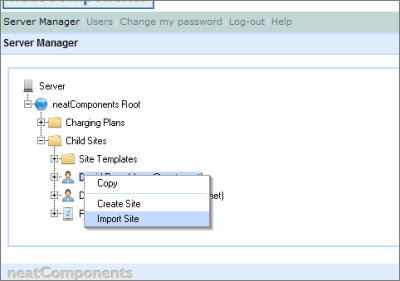 http://website.example.com then leave the Server Manager. You can now access the application directly from a regular browser session for configuration and use.